As an experienced digital marketer (with hosting accounts on all major web hosting platforms) and someone who has worked in the web hosting industry for over a decade in both the sales and marketing aspect of the industry I'd say I have a better understanding than most people and would even venture to call myself an expert when it comes to knowing what to look for in a great web host. The web host you choose can make or break the success of your website business so it's worth making an effort to choose the right one. For example one of the most important aspects of your website is a fast load time. According to Google's latest research, as page load time goes from 1s to 3s the probability of bounce increases 32%. Furthermore, research also indicates 53% of people will leave a mobile page if it takes longer than 3 seconds to load. This is why picking the right web host is absolutely CRITICAL! Below you will find our best web hosting providers for Canada, quality hosting at an affordable price. Mike is great to work with he and his team are always responsive and willing to do what it takes to get the job done right and in a timely manner they are reliable and a pleasure to work with. Working with Mike and his team has been a pleasant experience! Their dedication and passion is only matched by their unrivaled support for the project they are working on. They provided us with unique insight from where we should host our website to what WordPress plugins to use for our niche. 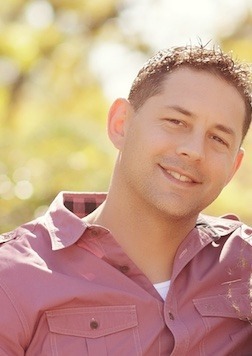 I can recommend Mike without hesitation. Thanks again and Cheers! We’ve done the investigation and research, web hosting reviews & comparisons so you don’t need to spend countless hours reading reviews, below is a list of the best web hosting companies for Canada. The top 5 website hosts, sorted by star rating, detailing the cost/mo, & the main features they offer. We also completed a detailed review of 5 alternative web hosts further down the page. With so many web hosting choice it can be difficult choosing the top Canadian companies that are right unless of course you have had first hand experience hosting a website with them. We have experience hosting sites with all companies on this page. To be honest there are several excellent web hosting companies for Canadians to choose from and Toronto and Montreal are major peering points and hubs for the world wide web which means your web hosting service will be fast, reliable, and affordable if you decide to choose one from this list. We conducted a methodical and unbiased technical performance review of the five top inexpensive Canadian hosting providers. All five hosting providers are unsurpassed when it comes to delivering reliable affordable hosting without skimping on performance. 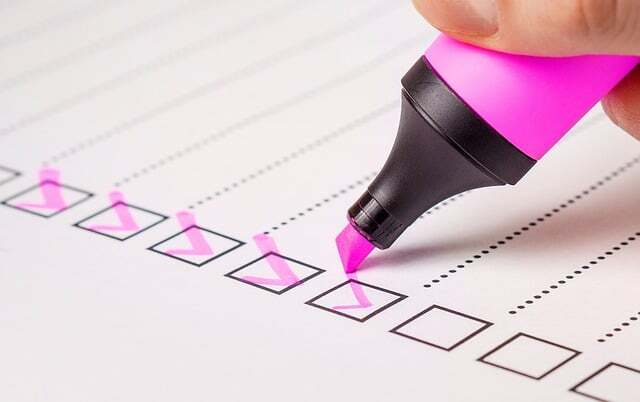 We used the following criteria to come up with our list of the top Canada hosting companies: Price, Performance/Speed, Data Center Location, Customer Service & Support, and Additional Features. All test were run on the web hosts entry level plans. We uniformly cloned the test website and ran the same test on all hosts. After its founding in 2008 by a web hosting veteran by the name of Trey Gardner, GreenGeeks quickly rose to prominence as THE "Green" web hosting provider now serving over 300,000 websites with data centers in the U.S., Canada, and Amsterdam. With a name like "GreenGeeks" as you can imagine they have the most environmentally responsible platform of any web hosting provider investing 3 times the amperage they pull in the form of renewable wind energy via the Bonneville Environmental Foundation. 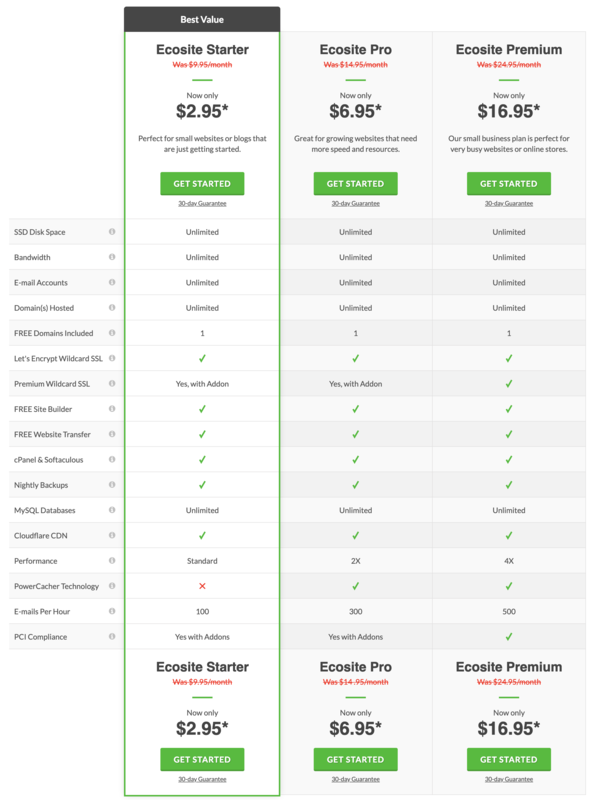 Offering unlimited SSD storage, bandwidth, email accounts and domains on all of their web hosting plans GreenGeeks is also packed with advanced features like PCI Compliance, container-based technology, real-time security scanning, free CDN integration, PHP 7.1, GIT, WP-Cli, Drush...well you get the point. GreenGeeks has partnered with S﻿﻿﻿﻿ingleHop﻿﻿﻿﻿ to offer hosting in the Chicago, Phoenix, Toronto, and Amsterdam locations. Their BGP4 Gigabit connected network is routed by Juniper edge routers and aggregated via Cisco and Juniper switches through multiple fiber GigE Tier 1 backbones so they do have serves in Canada. Tier 1 Telecom Providers: AT&T, AboveNet, Level 3 Communications, Time Warner Telecom, and Cogent. Customer service and support consists of a robust Knowledge Base, Website Tutorials, Live Chat, Phone Support and Email ticketing system. Their chat support agents are remotely located and distributed globally which means they are not necessarily in Canada so there may be some grammatical errors when using the chat feature but all in all support is pretty good. But they do have limited phone support which is only available Mon-Fri: 9 AM to 12 AM EST and Sat-Sun: 9 AM to 8 PM EST which is a bit unusual because most hosting companies today offer 24/7 phone support. However live chat is 24/7/365/. GreenGeeks is kind of like the Tesla in so far as power and speed goes boasting blazing fast page loads powered by SSD Hard Drives, LiteSpeed & MariaDB web server, and PowerCacher for in house server caching. Their technology stack does not stop their they have Hosting Account Isolation, Linux Secure vFS, Real-Time Security Scanning, and Real-time Pro-active Server Monitoring. GreenGeeks does have a very impressive uptime of 99.99% for the month which is better than all other hosts located in Canada. They are also well above the industry standard for load time clocking in at 409ms. I'd say they are overall all a pretty solid choice for a Canadian hosting option. Among the top 10 Canadian companies and founded in 2003, this privately-owned Montreal-based company has become one of the fastest growing web service providers in Canada with tens of thousands of dedicated clients both nationally and globally. 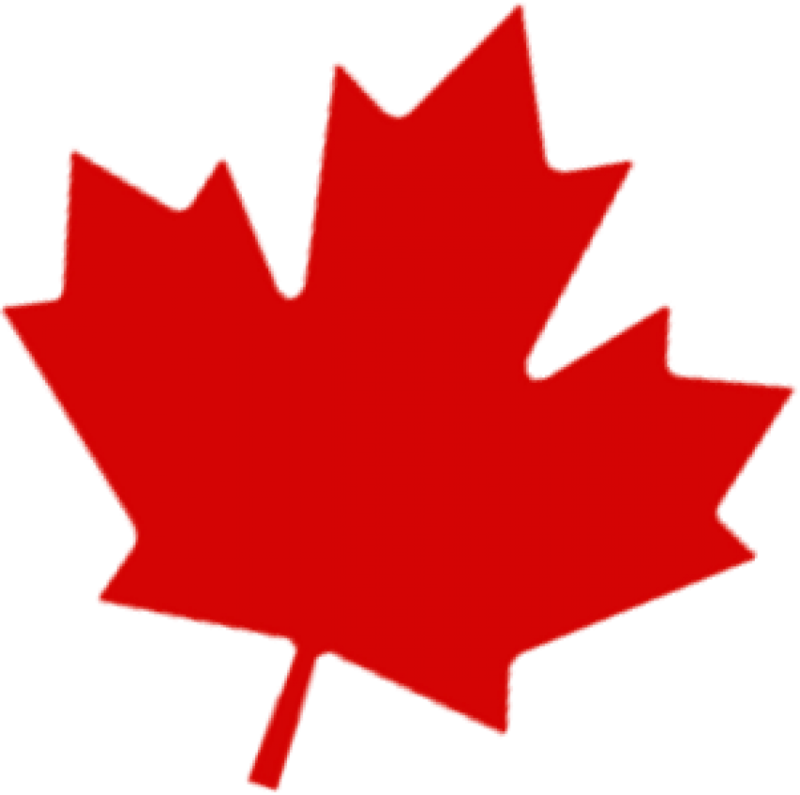 Web Canada or WHC.CA is also one of the best Canadian domain registrars. Catering to individuals, small businesses, and organizations, Webhosting Canada has become a powerful and affordable web solution that screams competence and reliability. Of course, it also helps for them to be highly active in improving the Canada web hosting scene with an accreditation with the Canadian Internet Registry Authority (CIRA), and are official cPanel, Cloudlinux, and SpamExperts partner. 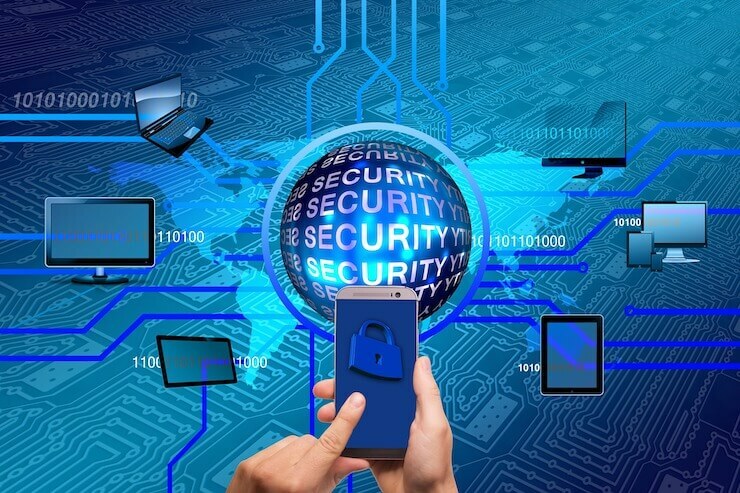 With 24/7 physical security, Webhosting Canada offers high availability infrastructure, redundant networks with multiple fail overs, and eco-friendly next generation datacenters that are 100% based in Canada and have ISO 27001:2005 certification. What’s not like about this? They also even provide a 30-day guarantee and their least expensive plan starts at CAN$ 4.79/month. Data centers are conveniently located in both eastern and western Canada at the Montreal and Vancouver locations. They also utilize DNS Anycast technology that serves DNS information from the closest of more than 12 specific access points in all of Canada. Webhosting Canada offers 24/7 online/telephone help center with Chat Now and Open a Ticket options. They also offer logins for Open Support Ticket and Check System Status. Webhosting Canada takes their security and user experience very seriously as they include in every webhosting plan best website tools, supercharged performance professional email, developer features, robust security, and best domain management. Web Hosting Canada does have a very impressive uptime of 100% for the month. They are also well above the industry standard for load time clocking in at 331ms. With their abundance of additional features service, stellar uptime, and the ability to pay in CAD we think Web Hosting Canada is an excellent choice. After launching in 2007, the company has risen as an industry leader in Canadian web hosting services and has won several major awards such as the recent top ten in “Best Canadian Web Hosting” for 2018. Founder and CEO, Alfez Velji, started the company as a seasoned veteran who was intent on providing the best customer experience possible with data centers in Canada and the United States. The company has not only grown as major Canadian web host, but has also established an international presence, with over 30,000 websites and 5 data centers worldwide, in over 120 countries. HostUpon’s success can be attributed to their in-house customer service approach, where all of their employees are located at their Toronto office. HostUpon has become synonymous with providing great customer relations because of their in-house approach to resolving issues and services for their customers in a timely and efficient manner. They are also well-known for incorporating high quality eco-friendly hardware and business practices that help create a positive experience for their customers. Offering unlimited disk space, servers in the U.S. and Canada, locked in prices, 99.9% Uptime, and an easy to use cPanel control panel, HostUpon offers a premier service with in-house reliability and expertise, which is what we’re all looking for in a web hosting service. If you’re still a bit uncertain, HostUpon offers a 30-day money back guarantee to give you a chance to try out their web hosting services. HostUpon has data centers in Canada, United States, and in other parts of the world. Their use of top-branded technology consists of IBM/Dell/HP servers, storage systems made by IBM, as well as networking equipment and virtualization software made by Cisco. In addition to this, they also have 3 backbone bandwidth carriers, and SAN storage networks. HostUpon is like a boutique firm where they do everything in-house rather than outsourcing services and jobs elsewhere throughout the globe which means their HQ is in Canada. They provide several high-end options for their customers such as providing them with Knowledge Base, Network Status, Online Live Chat, Telephone Support, and Ticket Submission. The 24/7 services consists of Live Chat, Telephone Support, and Ticket Submissions. HostUpon offers Ffmpeg Enabled Hosting such as shared hosting, VPS Hosting, Dedicated Servers, and Cloud Hosting. HostUpon does not have the fasted average load times for the month but even 740ms is pretty fast. Google does not start penalizing the website until after a 3 second load time so HostUpon is well within this guideline. The only reason they got a C- is because they are being measured against the other super charged Canada web hosting companies on this list. In our web hosting Canada reviews we discovered HostUpon is also above the industry standard for uptime with a 99.98% average for the month. I'd say they are overall all a pretty solid choice for a Canada hosting option. ​Since 1999 this company has been living up to its name by running on 100% renewable energy and knowing how to provide the best quality services on the market. They provide affordability but they don’t lack in services such as managed WordPress hosting that includes CloudFlare Pro for free! They are also Canada-based, which means their infrastructure and support are housed in the same vicinity, creating the Canadian web hosting experience. Dynamic has also created a niche known by all their partners and clients as being boutique-style or one-stop shop for all things server related, also known as “Dev Ops”. As a result they also offer IT infrastructure services and management for company clients who prefer to have it done out-of-house. Dynamic has data centers throughout Canada, particularly in Vancouver, Calgary, and Halifax. They also leverage multiple upstream data and internet connection to Tier 1 carriers and providers, which consist of UPS, switchgear, control systems, and multiple backup 800 KW diesel generators & dry-pipe pre-action fire suppression systems with floor leak and heat detectors. Support options such Live Chat, Knowledge Base, Support Tickets, and 24/7 call centers are standard in this business.canada However, their telephone support don’t have annoying waiting periods and are quick to respond within an hour if you have a support ticket. Another thing to add is how many positive reviews that Dynamic has generated over the years. Must mean they’re doing something right! Services come with domains, email, unlimited storage, unlimited storage transfers, and a WordPress No Hack Guarantee. As a reliable one-stop shop, they provide many other services worth checking out as well! Dynamic Hosting did not perform well on the load test compared to the other Canada hosts. 670ms load time is still under one second but not impressive when matched against for instance HostPapa. The uptime was not bad and well within the industry standard at 99.91% for the month. In my opinion the measure of a managed WordPress hosting provider’s quality is in how well it treats its customers. Like anything in life you get what you pay for with managed website hosting services. WP Engine is a bit more expensive than some of its competitors and other Canada WordPress hosting providers on this list, but for speed, security, technology, and the level to which the hosting is really “managed” it’s the hosting provider with standards that many others aspire to. 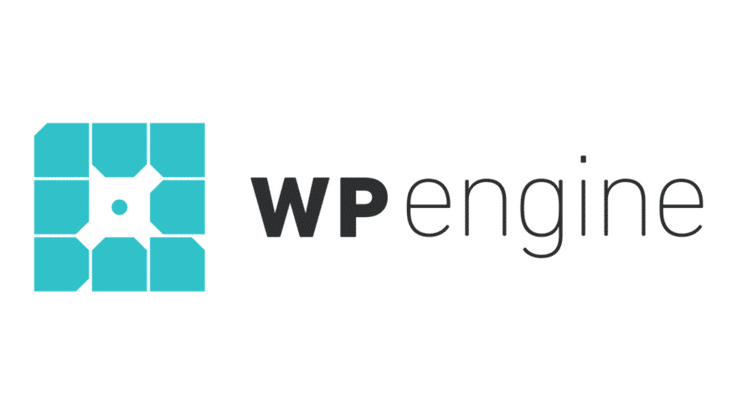 WP Engine is no longer a boutique firm specializing in WordPress, they are a massive web hosting company back by venture capital with serious doe. WP Engine offers its services to a wide-range of Canadian and global customers via CDN integration by MaxCDN and a proprietary cloud infrastructure designed to do one thing...run WP sites. Their data centers are located throughout the globe in United States, Canada, United Kingdom, Australia, Germany, Ireland, Taiwan, Belgium, and Japan. The platform runs on top of GCP (Google Cloud Platform) and AWS (Amazon Web Services). Can you say SOLID! WP Engine offers the usual customer service and support services like Resource Center, Documentation, Solution Center, System Status, Live Chat, Ticket Submission, and live Phone Support that is typically available 24/7 year-round. The customer service and support is actually quite excellent. WordPress is what WP Engine does best and they have a ton of special features catering specifically to WordPress users. With a robust and purpose driven dashboard that is built for advanced users and beginners alike you can't go wrong with WP Engine if you are building a robust WP site. The WP Engine network is as you would expect given it's run on the Google and Amazon Web Services backbone...100% uptime! The page load time was also impressive at 334ms average response time for the month and since they run on the Google and Amazon cloud network I wouldn't be surprised if they do have some servers in Canada. Get the special offer USD $28/mo (60-Day full money back guarantee)! HostPapa is a true Canadian web hosting company founded by a native Canadian Jamie Opalchuk in 2002 and began offering cPanel website hosting to Canadians in 2005. HostPapa is now the largest independently owned Canadian web hosting company servicing over 180,000 domains. 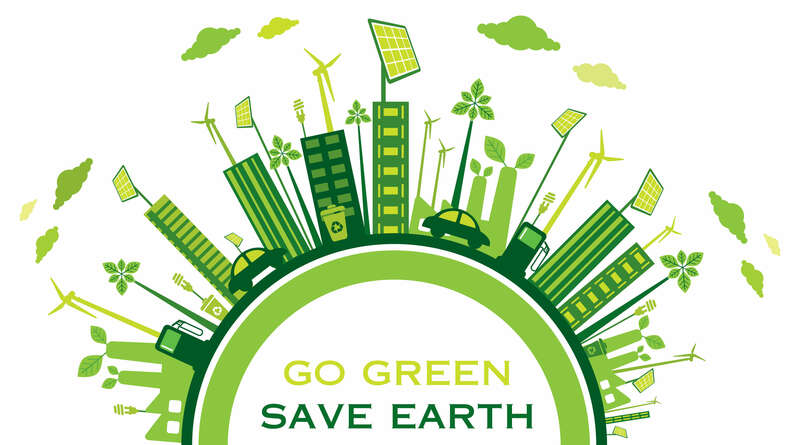 Since 2006 HostPapa has been committed to utilizing 100% certified green renewable energy through the Bonneville Environmental Foundation "Green Energy Tags" are created when wind power ​is substituted for traditional power. Feature rich is the best way to describe the HostPapa service they are an ICANN certified registrar, offer FREE migration, FREE domain name, FREE SSL, 30-day full money back guaranteed, and with the HQ and servers in Ontario you can purchase in CAD instead of USD. If you are looking for the Gold Standard in Canadian web hosting then HostPapa is the clear choice! HostPapa offers Shared, WordPress, and VPS, options for hosting. Their data centers are located in the Toronto, Ontario Canada facility ​and ​their network and hardware is powered by Cisco. Another traditional cPanel provider HostPapa provides a customized dashboard that's easy to use and navigate with tabbed menu options and easy access to all of your account settings. The month long Pingdom test determined HostPapa to be on par with most cPanel web hosts that are in the same price range. HostPapa had an average monthly load time of 423ms which is above average for a Canadian web hosting corporation. Their uptime was 99.96% for the month which is better than most well known providers like Godaddy and Bluehost. Spearheaded in 2004, this Lithuanian company (what is a Lithuanian hosting company have to do with Canada? Answer: the are super cheap!) has grown into a behemoth in global web hosting services in 178 countries. 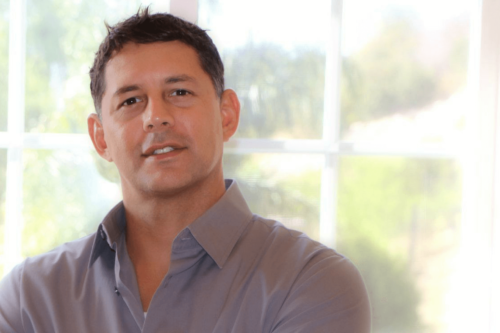 They currently have over 29 million users and are continuing to consistently grow by the second with a new client every 5 seconds and 15k on a daily basis. Something has to be working right for this company. They offer a combination of webhosting, cloud hosting, and VPS hosting and a lot of helpful information for users to become acclimated when managing their websites. They offer a 99.9% Uptime for connection speed which is one of their key selling points. Hostinger also offers 30-day money-back guarantee in case customers aren’t sure of fully committing to their services. However, the prices may be worth keeping with their least expensive plan starting at $0.80 per month! Hostinger has servers in the USA, Asia, Europe (UK) but not Canada and use Intel Xeon E5 CPUs, 32-64GB RAM, SSD and SAS/SATA3 (RAID10 protection) disk drives that are connected to 1Gbit lines. They also are connected to a 1000 Mbps connection lines to help ensure maximum performance and stability. Hostinger offers a wide range of customer support services that are dedicated to serve the users 24/7/365 as well as offering functions such as Knowledge Base, Tutorials, Blog, and Report Abuse. Since they’re an international company, they offer mainly online chat and message functions for the user in case they need help. However, it seems the company expects the customer to first utilize the vast resources and information they’ve provided on their website. Hostinger does not really offer much in the way of additional features but they do provide some important things such as guaranteed 99.9% Uptime, Free SSL, and Daily Backups. They also run on cloud-based technology with 3x optimized WordPress speed. Super cheap hosting with very solid speeds (which makes them a good alternative to a Canada web host). The entry-level, plan doesn’t offer many perks or free additional features but he Premium and Business Web Hosting plans have a lot to offer. Uptime of 99.99% and page loading speeds of 320ms are faster than the industry standard, and you’ll get your money back within 30 days if you’re unhappy. Since 1999, this company has built a solid reputation for being the affordable and reliable web host that customers can depend on but at first glance they are not that user friendly. Cirrus does offer a lot of customizable options for the more advanced users but for your typical website end user they are probably not going to win any accolades. Cirrus also include dedicated servers, cloud hosting, and web design services to help customers fully acclimate to their PHP 7 supported networks. In addition, customers have the choice of applying either the Linux or Windows hosting plans based on their individual preferences. Cirrus Hosting houses 3 data centers in Toronto and they are connected to TorIX and their local infrastructures. Their core network is considered being a fully redundant design for core routers and switches and they are Multiple Tier 1BGP partners. Currently they are peered with Cogent, Hurricane Electric and their Layer 3 edge routers in each of their buildings are with Cisco Layer 3 Terabit core routers over two diverse optical paths. Cirrus Hosting offers several options like their Ticket Submission, Knowledge Base, Phone Support, and Online Chat which is all based in Canada. The latter two are readily available 24/7, however it is highly recommended to first open a trouble ticket in order to receive top priority when calling them. Cirrus Hosting is like the affordable homegrown Canada based entity that offers the necessities to get customers established with the immediate needs for web hosting and this includes 99.9% Uptime, Backup Plans, and Colocation services. The performance and speed test were pretty much right down the middle nothing too impressive for good or bad. Cirrus Hosting had an average monthly uptime of 98.64% which is a little lower than we are comfortable with but not too bad for a Canada host. The average monthly response or load time was not shabby but not excellent either clocking in at 482ms. SiteGround has been in business since 2004 and their corporate office and support center is located primarily in Bulgaria. They are quickly becoming the most respected shared WordPress hosting provider and offer features more inline with what you would expect from a managed WordPress host. 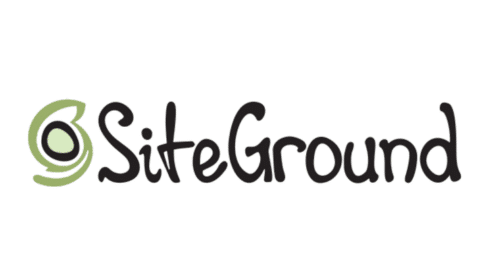 SiteGround provides Shared, WordPress, Cloud, Dedicated, and Enterprise level web hosting solutions and has servers located all over the world including Chicago, London, Amsterdam, Milano, and Singapore. SiteGround have partnered with S﻿﻿﻿﻿ingleHop﻿﻿﻿﻿ to offer hosting in the Chicago location and Softlayer for their London and Singapore locations. Tier 1 Telcom Providers: AT&T, AboveNet, Savvis, Verio, Global Crossing, Level 3 Communications, Time Warner Telecom, and Cogent. SiteGround support is excellent (but as far as I know they are in Eastern EU not Canada) and I have never waited more than a few minutes at most to contact someone via chat. They offer 24/7 support via phone, chat, and email but also have unique Tutorials, Webinars, and Setup Wizards that make most tasks easy to accomplish. However they have made getting in touch with their chat support a bit more difficult. I personally think SiteGround has the best user interface of all the cPanel hosting providers. The tabbed setup makes accessing different sections of your account extremely easy. The Pingdom speed test reveals what I expected scoring a C- for performance with an average monthly load time of 737ms I was actually expecting to see better performance from SiteGround but they made up for it with their 100% uptime for the month. InMotion Hosting has been in business since 2001 and like most hosting companies on this page are owned and operated which means they are not associated with a larger conglomerate like EIG. They host over 200,000 domains and their corporate office is located in Los Angeles, CA. InMotion offers a wide range of web hosting platforms including Shared, VPS, and Dedicated platforms. InMotion Hosting data centers are located in the Corporate Colocation facility in Los Angeles, CA and the Equinix facility in Ashburn, VA.
InMotion Hosting provides 24x7x365 US-Based support via phone, chat, and email. They are widely regarded as having some of the best technical support and customer service representatives in the hosting industry. Their technicians are specifically trained in WordPress making InMotion Hosting ideal for novice WordPress users. InMotion Hosting's providers a proprietary Account Management Panel (AMP) to manage your hosting account. This is the interface between you and the hosting company. The Pingdom test was not very impressive. InMotion Hosting had an average monthly load time of 976ms which is the slowest in this list of Canadian web hosting companies but their uptime was 99.91% for the month which is respectable. Bluehost has been in business since 2003 they were acquired by the EIG in 2010. Bluehost is probably the most popular and well known of all cPanel shared hosting companies and hosts over 1.9 million domains. Bluehost have several sister companies including iPage, HostMonster, HostGator, Justhost, and about 40 others. Bluehost offers the entire range of hosting environments including Shared, WordPress, VPS, Dedicated, and Cloud hosting. They have one main data center in ﻿Provo, Utah. Tier 1 Telcom Providers: Level 3 Communications, nLayer, Comcast, Cogent, and Hurricane Electric. Bluehost offers 24/7 support coming mostly out of their Provo, Utah and Houston, TX offices (definitely not Canada!). They provide phone, chat, and email ticket support but it can take time during certain times of the day to get in touch with someone because of how large their customer base is. They do however offer pretty decent support and have multiple tiers and departments of customer support. Basic support is provided quickly and easily via chat or by phone but for me complex issues submitting a ticket is necessary. The Bluehost user portal is a highly customized cPanel environment mixed in with their property infrastructure. There are tons of options and it can be a little overwhelming if you are new to web hosting. I for one got lost in their Mojo Marketplace and it was difficult to find my way out. The Pingdom test reflects what you would expect after seeing how well they preformed during the stress test. With a load time of 408ms and a Performance grade of B- it's clear that Bluehost has some of the fastest servers (even if they are not located in Canada) and a well built infrastructure. Website hosting is probably not going to be the biggest monthly expense for anyone running a small business in Canada. Between registering a domain name and paying hosting fees, you're probably going to be spending less in a year than you would for your coffee consumption for the month. All the same, whether you're spending several thousand dollars or five bucks on a business expense, it's worth making an informed decision. An oil change is one of cheapest maintenance routines for car-owners, but if you skip it to save twenty, thirty dollars, then you wind up with a very expensive problem on your hands. The same goes for website hosting. It's not a major expense, at least not at the small business level, but it is a pivotal one. Quality web hosting is not a cost that's going to break the bank, but that doesn't mean it's a decision that should be made on a coin toss or just Googling "cheapest web host, Canada." You're going to want to do a little bit of research and weigh your options before clicking that "create an account" button. Above you'll find a comprehensive guide to selecting the best Canadian web hosting for your business. We'd love to just tell you "This host is the best web hosting Canada has to offer, just go ahead and sign up with them." But "best" means different things to different people. Nobody knows your business better than you do, and that means that nobody knows your web hosting needs better than you do. With the information that you'll find here, you'll be more than capable of making an informed decision. 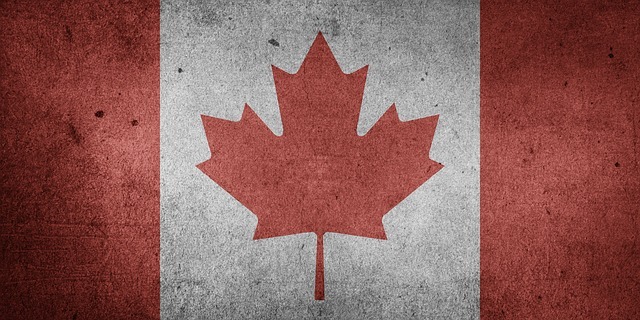 Why Should Canadians Choose A Canadian Web Hosting Provider? You have so many choices when it comes to choosing a web hosting provider, but if you are a Canadian business, there are actually many advantages to working with Canadian hosting providers. In the past, the biggest web hosting providers were based in the United States and elsewhere in the world, but now there are actually many large and reliable hosting providers in Canada. You also no longer have to spend more money to have your site hosted in Canada, as bandwidth prices are going down. Here are some of the reasons why you should have your site hosted in Canada as a Canadian business. Supporting local business is always something to be proud of, and it's something that's always been a big part of Canadian culture. 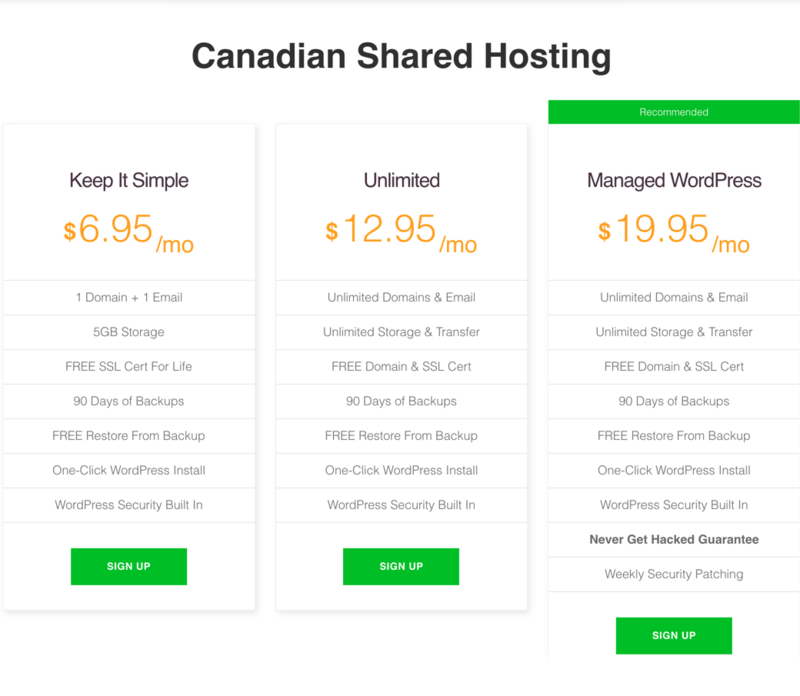 Buying your web hosting from a Canadian company means you are putting money back into your own economy instead of supporting a bigger business that's based elsewhere. This can actually have indirect benefits for your company's success as well - it's always great to work somewhere with a thriving economy. When you choose a Canadian web hosting provider, you can feel good knowing that you're investing in the overall success and economic health of your country. Customers are also becoming increasingly conscious of things like shopping local, so choosing a local business for your web hosting may be a plus for potential customers. Using a local web hosting company also will give you much lower latency, which means that your website will load much faster for your customers. A smaller local company will also be able to give you better customer service should you encounter any problems with your website. Being able to get your site back up and running quickly is essential for your businesses' success overall. Having a fast website makes a great first impression on new customers and can set you apart from your competition. It also provides unparalleled convenience for you and your customers, because no one enjoys sitting around waiting for a website to load. With faster loading speeds, you will get fewer complaints from your customers, which means that you can spend more of your time focusing on other important tasks and growing your company. 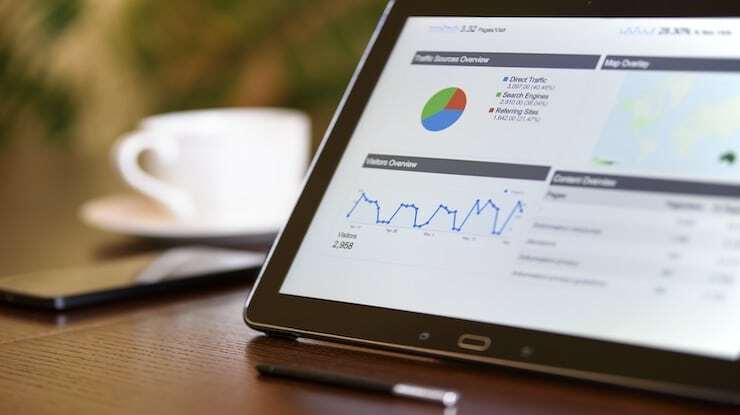 Search engine optimization is more important now than ever, with so many consumers turning to Google and other search engines to find new items and services to buy. Getting on the front page of Google can make a huge difference in your volume of incoming customers. Having a site that ranks well on a search engine immediately makes your company look more professional and legitimate. When you use a Canadian hosting provider, it can actually boost your local search engine rankings (although it won't affect your global ones). Google will automatically target your page towards Canadian web searchers if you have a Canadian IP address and a .ca domain name. Google's formulas are designed to make sure users see the content that is most relevant to them, which is why your business will show up higher for a Canadian user if you appear to be based in Canada. This is particularly true if the searcher is using Google.ca instead of the main Google site. 43 percent of searches are actually done from a local Google site, which adds up to a huge number of customers in the long run. If your target customer is someone that lives in your area, using a Canadian based web hoster will increase your chances of getting their attention online. 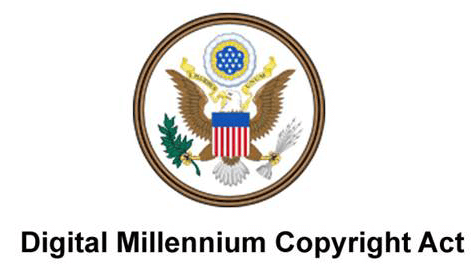 The United States has something called the Digital Millennium Copyright Act, or DMCA, which can cause some frustrating problems when you're using a hosting service based in the United States. The DMCA allows the FBI to shut down websites that use copyrighted content or are otherwise illegal in some way. While this law is well-intended, it can often result in completely lawful sites being taken down by mistake. There have been many cases in recent years where entire US-based servers have been shut down because there is one illegal site on it. These servers host multiple sites at once, which means that plenty of law-abiding websites are taken down as well. The DMCA is known for making extremely broad claims to get sites shut down, and many web hosters in the United States are happy to comply with any DMCA request immediately without looking into its legitimacy. Since Canadian hosting providers don't have to comply with DMCA requests, there's no chance that your site will be taken down unfairly. When a Canadian hoster receives a DMCA complaint, they can take their time to look into it and determine if it is legitimate. If a site does need to be taken down, they can separate it from their other clients' sites so that they are not affected in the process. The Canadian legal system has also been happy to reject DMCA complaints that it feels are unfair or overly broad. When you use a Canadian web host, you will have some peace of mind knowing that your site can't be taken down unfairly. In the past, it was most affordable for companies around the world to use American web hosting companies, because they had a larger volume of customers and were therefore able to offer lower prices. However, this has changed in the past few years as Canadian data hosting companies have grown. OVH and PEER1 have both increased their data centre space significantly, which enables the web hosters that use them to offer prices that are actually competitive with American prices. Canada has also recently introduced HST in most places throughout the country, which means that if a Canadian business uses Canadian hosting providers, they won't have to pay taxes on it. This is because they can redeem the HST tax credit on their internet services. Finally, non-Canadian providers will often charge currency conversion fees for customers in a different country. While these fees may not seem particularly large, they can really add up over time. If you have budgetary limits when choosing a web host, it may make the most sense to choose a provider in Canada instead of looking abroad. Canada is one of the world's most environmentally conscious countries and is actually the world's third largest producer of hydroelectricity. In fact, the majority of Canada's electricity comes from hydroelectricity providers. With climate change becoming an increasingly pressing issue, it's important to support businesses that use energy consciously. The two biggest data centers in Canada are very eco-friendly, so you can feel confident about where your host's energy is coming from. PEER1 is based just off of Lake Ontario, and they use a technology called Deep Water Lake Cooling, or DLWC, to source their energy. This is a completely renewable energy source, because there is actually a reservoir of very cold water at the bottom of Lake Ontario. Cold water is very dense, so it sinks to the bottom of the lake. A company called Enwave recently decided to take advantage of this by using pipes to pump the water to the Toronto Island Filtration Plant. From there, the water is cooled to create energy that powers many of the buildings in downtown Toronto, including PEER1's data center. OVH is another one of the largest data centers in Canada, and they are located in Beauharnois, Quebec. This data center was constructed very recently and is actually one of the largest and most advanced data centers in the entire world. It is powered entirely from natural energy, a rarity for a data center that is so large. They use a hydro dam located on site to generate all of their energy. The building also does not use any air conditioning but instead uses innovative cooling technology. Regardless of what web hosting provider, you decide to go with, working with a Canadian company gives you many more environmentally friendly hosting options than anywhere else in the world. If your company is eco-conscious, this is a no-brainer way to lower your carbon footprint. With so many of today's consumers being very environmentally conscious, using an eco-friendly web host could also give you an edge over the competition. Overall, choosing a Canadian hosting company is the absolute best choice for Canadian companies. It's affordable, and you get all the benefits that come from supporting a local business. Your website will run quickly, you are supporting your local economy, and you will get some local SEO benefits. Because of this, using a Canadian web host can actually give you an edge when it comes to drawing in new Canadian customers. With a Canadian web host, you also won't encounter many of the ethical problems you would find with other hosts, like DWCA issues or power sources that aren't environmentally friendly. Switch to a Canadian web host today for reliable service that will help you grow your business. Searching for the best website host for your needs begins with identifying the different types of web hosts you have available to you. There are thousands upon thousands of web hosts out there, so the process of selection is really just a process of narrowing down, breaking things into categories and sub-categories until what seems like an overwhelming decision actually becomes quite simple. So the first step in breaking down thousands of choices into three or five: Examining the different types of hosts available, and figuring out where to go from there. Today Canadians have several platforms available to them for their web hosting needs. There are five general types of web hosting we outline below whether you are looking to host a small personal blog or a small business website to a massive enterprise level solution one of the platforms below will be right for you. Shared web hosting often advertised as Business Class Hosting which is typically the cheapest comes with some inherent downsides, but they're downsides that don't really matter for the people who tend to use shared hosting. Shared hosting makes up a bulk of "cheap web hosting" services and it is ideal for smaller projects: Local businesses, community fundraisers, personal websites, personal blogs, and things like that. Shared hosting usually comes with unlimited storage, unlimited bandwidth, unlimited email etc..if you think your site will only serve a few hundred people per day or fewer, then shared hosting should more than meet your needs. Another key factor to consider with a shared web hosting option, is that with most hosting providers in Canada you will have access to one-click CMS (Content Management System) applications WordPress, Joomla!, and Drupal are a few rather popular applications that are installed by small business owners looking to spare the bottom line when considering site development costs. Don't let the cheap web hosting Canada plans fool you many of the less expensive hosting packages come packed with website hosting features that are worth more than you pay. There may still be updates initiated by the hosting provider but these updates are managed by them. For web hosting providers that do offer Site Builders, there is generally an understanding that they support the application. So if something does go wrong after an update or a function isn’t working correctly, a quick chat message or support email will get heading toward resolution. WordPress hosting is what you might guess: Hosting for WordPress sites. These hosts are specifically built for the WordPress platform and as such will streamline the development process for easy site-building. If you like WordPress, don't have a tech guy or a budget for a web designer, and want to get your site up fast, then this is the way to go. WordPress was created as a blogging platform, so any blog-style website or sites that produce regular content to keep people interested will be a natural fit for WordPress and WordPress hosting. Excellent for anyone who just wants to make the whole process a bit easier, and a popular choice for small businesses that need to get a website up fast. You can always upgrade later if you feel you might eventually outgrow a self-operated WordPress site. Many of the free web hosting sites Canada has to offer will be WordPress hosts, and there are plenty of cheap WordPress hosting services to be found, making this a good option for small businesses that are still putting their funding together. WordPress has grown exponentially over the past few years to encompass a variety of website needs outside of the blogging realm. thanks to the ever-expanding use of plugins and themes, WordPress site are now capable of being transformed into powerful e-commerce sites and visually stunning marketing sites. A Managed WordPress hosting plan, allows you the benefits of an optimized hosting option for WordPress site while offering additional services that support your WordPress application that will keep your site running smoothly, provide additional support for plugins and theme related issues, and generally these plans will include options for better site recovery. Speed is great, but having strong customer support is what makes a Managed WordPress option so tempting. Having a dedicated team of technicians that can be available at a moment notice is well worth the money if you can budget for it. When you are looking to keep that bottom-line in shape, good customer support should never be on the chopping block. Trust me, when you run into an issue (and you will,) your future-self will thank you. When making the decision on which WordPress hosting plan to pick, remember to keep in mind the scope of responsibility for your site. It's always best weigh your expense directly against the support you can expect to receive. VPS is a comfortable middle ground between shared hosting and dedicated server hosting, in both capabilities and pricing. You're technically sharing a server with several other users, but with a VPS, or Virtual Private Server, all to yourself. This means that a section of the server is blocked off just for your website and content, and you won't be affected by the activity of other sites and content and users on the server. Less expensive and easier to set up than dedicated server hosting, but with more power and freedom than shared hosting. There are a couple of identifiers to consider when you are hosting your website in a shared environment and you are looking into upgrading to a VPS. Most Web hosting providers in Canada will boast unlimited bandwidth as a part of their shared hosting plan offering. However unlimited bandwidth doesn’t mean that the site can handle unlimited traffic. Bandwidth is a rate measured in how much data is being passed from server to client (website to visitor). Having unlimited bandwidth means that the web hosting provider isn’t placing a restriction on how much data is being passed. Traffic; however, is more related to the requests themselves. A shared plan can handle X number requests. This corresponds to how many visitors can hit the site simultaneously. The more simultaneous requests the more resources a single site is needing from the server. Shared servers are typically configured to handle a certain amount of traffic before starting to flag requests as been suspicious. When too much traffic comes in it can cause the server to run slowly or shut it down outright. When your site is no longer able to handle the traffic because the server cannot keep up with the requests, while also trying to keep up with requests to other clients it is time to consider an upgrade. Being able to control the server environment from the operating system layer isn’t necessary for most internet businesses until the business has achieve a certain level of demand or has made changes that necessitate that level of access. If that level of control is necessary upgrading your hosting to the VPS option offers you a quicker method of getting that access while also staying below the enterprise level options of the Dedicated Servers. A VPS will provide you the control that you need to fully customize the hosting environment to suit your needs. While not as powerful as the dedicated server options, it will offer you the same level of freedom that shared hosting plan cannot match. For some business needs, increased security maybe required to meet certain compliance standards or you may find that some method of securing your site and/or client data are not available to you in a shared environment. As an example, most shared server environments are not PCI compliant which is a good compliance to maintain for e-commerce sites and is the most sought after compliance for internet businesses to support customer confidence and customer data integrity. This type of compliance is not necessarily something that most shared hosting plan have configured for their hosts servers as the compliances impose certain restrictions that can be cumbersome for website owners who just need to have online presence. This process of virtualization is generally considered the “VPS” or Virtual Private Server. As explained briefly before, this “server” is an environment that is hosted on a single host server that supports multiple VPS’s for individual clients. The Primary difference with a VPS, when compared to a Shared plan, is that a VPS is an entire environment that is dedicated to the customer. You will have access to the Operating System to fully control your hosting environment. 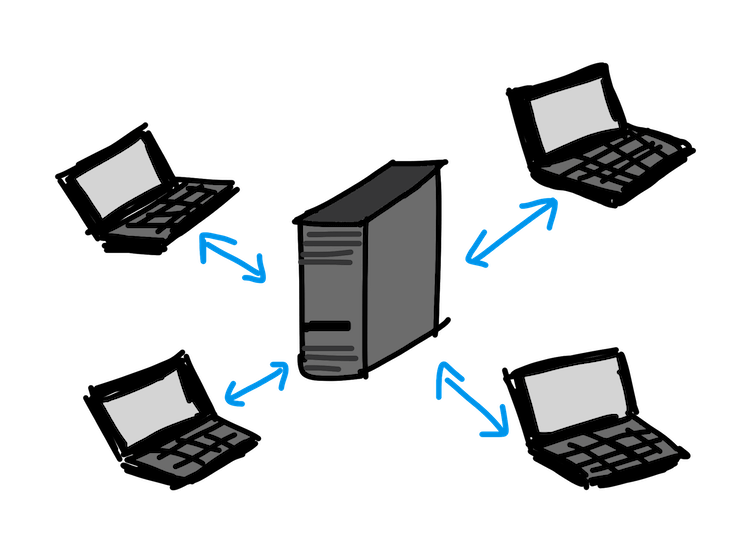 A Shared Hosting Plan will generally dedicate storage to individual account but processing and memory are shared meaning there is a higher chance that another client on the Shared server will negatively impact other clients, due to that lack of separation. This corresponds directly to the website traffic we touched on earlier. This type of virtualization is what will be implemented on all VPS’s so that they can communicate with internet. We need to remember that a VPS is essentially a server that lives within another server. So another method of virtualization is require in order for that VPS to communicate with the outside world. Another incredible neat trick with VPS’s is configure a vLAN. This is a connection type that allows one VPS to communicate with another VPS that is on the same host server without having to go out to the internet! This is an important feature to look out for due to having great benefits for security and also performance. As a brief example. Let’s say that you have a website VPS (keeps your website files) and a database VPS (keeps your database server application and content.) Using traditional networking connections your website would need to go out of the host server to the nearest Internet DNS server just to come back into the same host server but to be directed to the database on the other VPS. While that connection happens quickly it is also exposing itself to the outside world. With the vLAN connect your website could be configured to communicate directly with the database even though they are on different servers. This keeps the connection secure and not mention the connection is much faster. Storage virtualization is commonly identified as a SAN (Storage Area Network) there are methods but this is the most common. This allows for Storage to dedicated by blocks but the blocks don’t necessarily need to be on the same drive. It’s very efficient of handling scalable needs for virtual and physical system, though most often it will utilized in conjunction with virtual based implementations. It seems like it wasn't that long ago that "cloud hosting" was almost a dirty word. That's how it goes with new technology. When cloud hosting was a brand new concept, people were really concerned about the security issues that might affect cloud-hosted websites. As it turns out, cloud hosting providers can be more secure than hosting a website on a single machine. Cloud hosting offers tremendous flexibility by virtue of hosting across multiple machines. You don't need to migrate your website when you decide to upgrade, you just upgrade. Perfect for businesses expecting to see significant growth and upscaling over time. Because of the flexibility of the cloud, it is a great option for start-up companies. Many service and subscription based start-ups utilize cloud based platforms in favor of traditional hosting due to geolocalization, replication, and scalability. Being able to rapidly deploy content and then replicate to another available datacenter in a different geo-location at a few mouse clicks is very attractive utility to high growth potential ideas. Reseller hosting typically involves a third party like a web developer or IT web hosting contractors buying up a portion of server space from the host and packaging it with their own services in order to simplify and streamline the process, making things easier on their own customers. So if you are a web designer or digital marketer that is looking to host a number of different sites for your client or potential clients, reseller hosting options are a very efficient way to handle hosting multiple sites and to keep them all under the same roof. Nearly all Canadian Web hosts that offer a reseller hosting plan package their plans in a way that an individual reseller plan hosting multiple sites is cheaper than hosting several individual shared hosting plans. The reseller plans are generally comparable in performance to the starting tier of shared plans. If you already have a web designer or IT team or you plan on building the site yourself, don't worry about reseller hosting. But if you're still shopping around for a web developer, it can be worth looking into those who can provide hosting as well as site design. A cool thing about reseller hosting is that this is the web designer's hosting space, which means that they can address problems themselves, immediately, instead of waiting for the host's customer service line to pick up the phone. Another great use of a reseller hosting plan is for customers that are looking to start their own web hosting business. While you are paying for the infrastructure that is hosting your clients, your scope of responsibility for that infrastructure is practically nothing. Your primary concern is your clients not maintaining the servers. If offered by the Web Hosting provider, there are also reseller hosting plans titled as “White Label Reseller Plans.” These plans are an extension of a reseller offering that allows for a customer to brand their hosting company over the existing hosting companies infrastructure. Its a method of masking the existing infrastructure from the Reseller owner’s clients. This method of reselling minimizes confusion on the client’s end and is recommended for individuals looking to establish themselves as a unique hosting brand. The main benefits is that as a White Label Reseller you can become a web hosting provider without having to dump significant capital to start up your own infrastructure. This will allow you to focus on what is the most important thing for anyone in the web hosting business, your customers! Dedicated server hosting is the top of the line when it comes to web hosting solutions. A dedicated server is just what you might have guessed it to be: A whole server devoted to your website and your website alone. Think of it like living in a house vs. living in an apartment. This might be a bit much for most small businesses. If you were going to start a website like Youtube or Twitter, you would definitely need a dedicated server. If your business is more along the lines of a local diner or an art supply store, then this is kind of like renting out an eighteen wheeler in order to go grocery shopping. For tech-focused businesses or brands serving millions of customers, dedicated server hosting is a must. Dedicated servers also provide a key benefit that will outclass VPS’s. Stability. Since VPS’s are still hosted in more or less a “shared” host server, if a VPS is hit with something malicious like a Ddos attack that is large enough, the attack could knock out the host server. Meaning through no fault of your own another user has been attacked through a method that would still affect you as a VPS owner. With a dedicated server there are generally only two points of failure. This means that from a security perspective a dedicated server can provide more potential stability than a VPS. For the most part a dedicated server is going to be the absolute end all, be all for hosting needs. However it has a very fatal flaw, for now at least. Dedicated servers are not scalable in the same fashion as VPS or Cloud based option. Need more RAM, same story. This lack of instant scalability means much more potential downtime for when an upgrade is needed. Where a VPS or Cloud hosting option would allow a admin to virtually allocate more resource and just restart the server. Done and done. Whether or not your business is local, finding a local server is important. For local businesses this will ensure that customers are able to load up your website quickly, but even if you're running an online-only company, you still want a server that's near your own city so that you can access it quickly. Sometimes changes need to be made in a matter of seconds, and if you're in Canada, but started your host shopping journey by Googling "best web hosting company in USA," then that simply cannot be done. You're looking for a maximum distance of maybe a couple hundred miles if you're rural and your options are limited. But it shouldn't be hard to find a host less than a hundred miles away from your hometown. You'll want to run some speed tests, because the closest server might not always be the fastest, but once you have a list of fast, reliable hosts, finding the nearest one is a good idea. When dealing with Cloud based hosting options you may even find the availability to host your website in multiple zones across Canada and the world. This can give you a particular leverage when looking to target multiple locations simultaneously. This is more important for some businesses than others, of course. If you're just running a blog for a local coffee shop, uploading a menu and some photos shouldn't require that much storage. Running an eCommerce website, on the other hand, or anything involving video hosting, you're going to need a lot of storage space. And of course, unlimited storage means you have room to grow. You'll find that cloud hosts are good at this. Another important factor to consider is what type of storage your hosting provider allocates for their products. There is a very significant difference in read and write speeds between traditional spinning hard drives (HDD) and solid state drives (SSD). SSD’s are the standard for most shared products in the Canada web hosting market; however, some will utilize HDD drives for VPS’s and Dedicated servers. These HDD drives are generally available for bulk storage options which will allow the customer to have access to much larger amounts of storage with the trade off of reduced speed. This is a particularly good option for any “archiving” needs. Regular maintenance is great. Three hours of downtime for maintenance every single day, not so much. Hosts have a tendency to exaggerate their uptime, so check Canadian hosting reviews before putting any money down based on the host's promise of 24/7 uptime. In the old days we'd back up our websites on our own desktop computers. Nowadays we do most of our website management through our phones, and that's simply not an option. Any good website hosting services will back up their users' websites on a regular basis to ensure that you have a plan-B if something happens, if a server is damaged in a storm, if a flood hits the facility or if they need to clean a virus out of the main server. Most of the prominent Canadian web hosts will offer some level of site retention. This would generally be a one to three day offer that is included in the purchase of the hosting product itself. For more days of site retention, you generally located an add-on product that will supplement the hosting product with the desired amount of days. If data retention is required for a compliance or business process that necessitates a disaster recovery solution, look for hosting companies that can offer “off-site” backups. This means that the backup server that is storing your website data backups is not in the same data center as your website’s hosting server. That will award additional security for your data. Ideally a host should let you host as many domains as you want. You're paying for the server space, so it should be up to you what you want to do with it. But many hosts will place limits on this kind of thing. If you're thinking of running multiple websites through a single host, this is something you'll want to check on before signing up. When it comes to domain name hosting Canada service providers can be hit and miss. The best Canadian web hosting companies should have no problem letting you host as many domain names with them as you like, while others will promise to offer the best domain and hosting services while squeezing you for a few extra bucks on every new site. One of the primary reason that cheaper web hosting companies restrict the number of domain that you can host in a single account, is due to the amount of traffic that low-storage-threshold sites can still generate. That traffic load can spell doom for an overburdened server. So as cost effective solution for the hosting company, they will “pay gate” the additional domain hosting and sometime put subdomain hosting behind that same pay wall. Additional domain hosting isn’t generally necessary for most internet business needs, but it very common for new website hosting accounts to utilize the subdomain features in shared hosting plans to create what are called development environments. A simple example would be to host a new site called mynewsite.com. Then create a subdomain called dev.mynewsite.com. You can develop site to you needs in the dev.mynewsite.com instance until you are ready to push it live, then you can simple move the content to the mynewsite.com instance. As your brand continues to grow you can then test out new functionality in the dev.mynewsite.com instance to see how it will look and feel for you existing customer base and, just like before, push it live when you are ready! The previous section should offer you a way to narrow your web host list down by what they offer, but what really counts is what they deliver. Here's how you can compare web hosting companies by trustworthiness and reliability. If you haven't narrowed your selection down by type just yet, take some time to figure out exactly what it is that you intend to do with your website. Is it just a resource for customer information? eCommerce? A blog? Knowing what your website is for will help you to determine what kind of host you need, whether a shared hosting provider meets your needs or a cloud or dedicated server is more up your alley. An absolutely fantastic way to figure out what you need for you new website is to ask! Most, if not all, Canadian web hosting companies will offer a chat, phone, or ticket system to speak with a sales representative. It’s really not as scary as it may seem and that conversation isn’t the same as buying a new car. 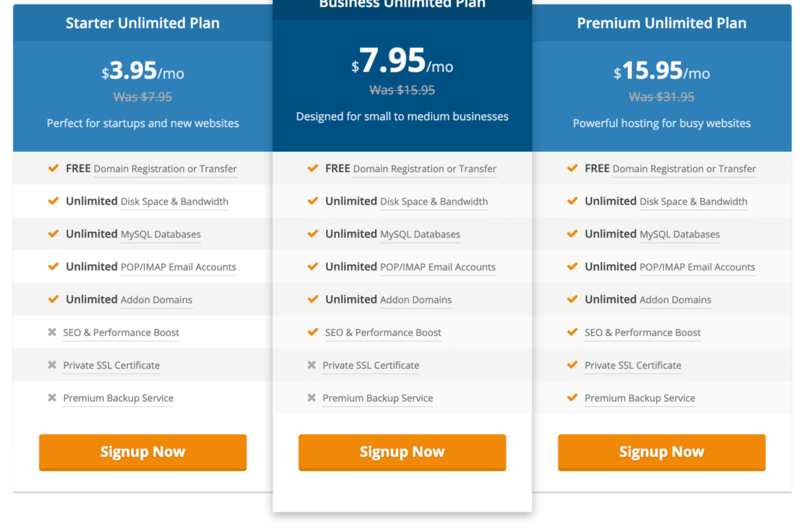 The web hosting business model isn’t about straight sales, it’s about subscription. They are interested in having you purchase and then stay with them as your provider. So their incentive is the long term solution and the best way to keep you as a customer is to set you up with the best hosting product for you website demands. It’s also very important to remember that website needs can change so a recommended way of “future-proofing” your decision is to investigate the flexibility of the hosting company’s product offerings. How does the company handle their upgrade path? Is it a series of tiered plan packages like Shared > VPS > Dedicated? Understanding how the company will handle your website growth helps tremendously to build confidence in your website’s new potential home. This can be a concern when looking at free web hosting and cheap internet hosting. They go on and on about their features, then when you sign up you find out that most of those features are severely limited until you upgrade to a better plan. Check the fine print and make sure that you're actually getting what's promised at the price you're willing to pay. It’s also important to make sure that features that are being provisioned with your account are permanent features. Sometimes you can come across a great web hosting only to find out that you get only get those features for a limited time and then have to upgrade to keep them. That upgrade cost can potentially become much more expensive than your budget originally allowed. Or, in order to keep your costs with in budget, you could be force to remove some features from your hosting that offered a lot value. Everyone brags about 24/7 customer support these days. But the quality of that support might not be anything to write home about. Calling in to a phone service halfway around the world to talk to someone reading from a script isn't likely to be that big of a helpful. The only way to really get an idea of the quality of their technical support: Canadian hosting reviews. And that's going to be a theme once you're working your way down the shortlist. Web hosting reviews are the only way to really get a sense of what a hosting service has to offer. Additionally, when it comes to comparing hosting companies’ prices to each other, any hosting provider showing to have proven quality customer support should be given preference. Good customer support in the hosting industry is worth its weight in gold. Even if the price is a little bit higher, having quality support is absolutely worth the cost and should never be tossed aside to save $1-2CAD a month. A phrasing to look out for that can correlate more closely to quality is “local support.” This lets you know that technician or customer representative that you will be speaking with, is in your own backyard, not half a world away. While this does not attest to their individual ability, it will allow you to avoid language barrier issues and other unforeseen miscommunications. Spending an extra dollar or two a month to get the best hosting account for your company might not be a big deal. The additional business you will draw with quality hosting is worth the investment. But that doesn't mean that money should be no object. The best way to make a decision on price: Set a budget, and stay within it. The best price web hosting should be the best hosting for the price. There's not much point in seeking the cheapest web hosting available if that's going to cost you performance. Of course you can get cheap hosting Canada service providers without sacrificing performance, and that's why you shouldn't sacrifice performance. This is the part where we get to use a very fun word. Value. The best Canadian web hosting plans really boil down the best value for web hosting plans. Feature rich plans with great flexibility, reliable infrastructure, and strong support accelerate the value of hosting options more than anything else! So when having the affordability conversation with yourself, identify areas where the individual hosts bring your internet presence the most value. This will be unique to your needs! Firing up a quick chat with a sales rep or reading a couple thorough web hosting reviews can help you identify those areas more effectively. Common wisdom dictates "The more features the better." But really you're better off figuring out what features you need, and putting those on your "must-have" list. Anything else is a bonus. You can think of features as a way for the web hosting company to appeal to largest amount of customers. Its marketing at its core and it is designed to be enticing and a bit showy. The goal being to find the right for the right customer to bring them in. Just remember a feature that doesn’t do anything for you isn’t really feature. A very useful feature that many larger Canadian hosts will offer is to include the domain name registration into a yearly purchase of a shared plan. It’s a pretty quick and easy way to save about $10-14CAD, so keep an eye out for that offer. This will tend to go hand in hand with backups. Reviews can help you out here, but a quick way to assess a web host's security: Google their name and words like "leak" or "breach" or "security." If they have a bad track record with protecting their users' data, then it will have generated a few news stories, or at the very least, a string of complaints in web forums. Also look for initiatives that enhance or simplify customer security experiences. A quick example would be SSL’s. Many web hosting companies in Canada provide free access to SSL’s for your domains. While purchasing an SSL for average website needs doesn’t have to be really expensive, it showcases an effort to help secure the web on the part of the provider. You, the customer, can benefit from that. The only reason for any seller of any goods (some exceptions not withstanding) to be fidgety about returns and money back guarantees is because they have very little confidence in what they're selling. To put it another way, the better your web host's money back guarantee, the less likely you will be to want to take advantage of that guarantee. For the most part, Canadian web hosting companies and hosting companies around the world will use the Money Back Guarantee angle as a “try before you buy” or “No-risk purchase.” The problem with that, is most of these guarantees are for thirty days. That is isn’t enough time to know whether or not a hosting provider is a good pick. There is always possibility that you can purchase a plan, have run smoothly for thirty days, sixty days, even ninety days, and then a problem occurs. Now you find yourself spending hours and hours in chats, on the phone, and submitting tickets trying to fix it until you want to just pick up and move. But now, you’re mostly committed to staying because your site has been established here and moving means a new environment, new DNS, and potential development time to get the website to work with the new host. So that is one angle to be aware of when making your decision. Set your budget and stay within it. 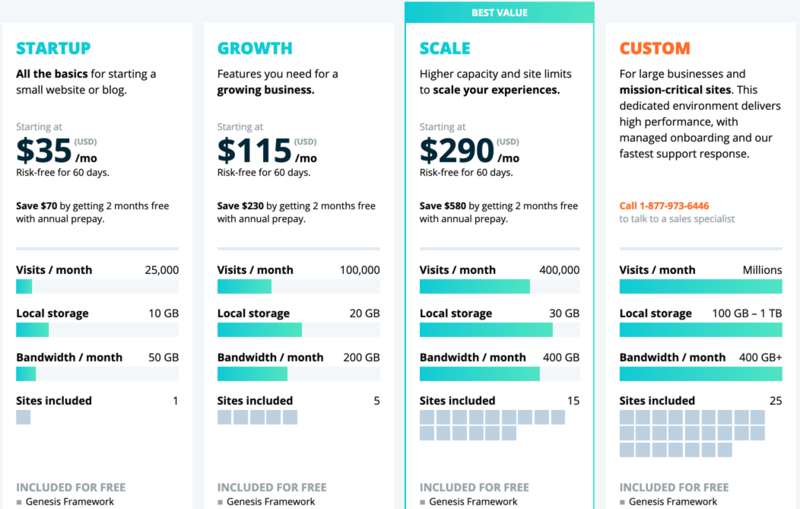 You don't necessarily need the cheapest web hosting per month, an extra dollar a month for better service is no big deal, but you don't want to be overcharged, either. If you come across an offer that's too good to be true, look them up in cheap hosting reviews and see what people are saying. Even if you're on a budget, you're looking for the best affordable web hosting, not necessarily the cheapest. The best hosting deals are those that combine a good price with some of the best Canadian web hosting available. You don't have to compromise on either front. Where possible, an effective method to save money when making a web hosting plan purchase, is to buy annually. Obviously this purchase method is much longer commitment, however it can generally translate into $1-2CAD for shared hosting plans and $4-5CAD for VPS hosting plans saved per month. If you are budgeting out for the year, you may be able to navigate “moving” the money around in the budget to acquire more features or additional services while maintaining a more strict overall budget. It’s not an options for everyone but it can definitely be beneficial when applied properly. This can be one of those hidden costs. Many providers who boast of cheap monthly web hosting will jack up the price for the second year of service, knowing that you're not going to want to swap servers every twelve months. What seems to be some of the most cheap website hosting Canada has to offer may turn out to cost twice as much as their nearest competitor from year to year. Promotional pricing and features are commonplace to this industry so it’s important to recognize when a promotional deal is just that and prepare yourself for the plan renewal. Something that can also happen is a Promotional plan may include “add-on services” that aren’t packaged with their default plan offerings so when the time comes to renew the plan you are renewing the additional features that were a part of that promotion plan. Make sure refunds are easy to seek. Keep an eye out for this in the reviews you read. Many of the hosting services Canada plays home to will have you jumping through a lot of hoops to get a refund in hopes that you'll just say "forget it" and walk away, letting them keep your money. Set the bar at 99.9% uptime. Some downtime is necessary for regular maintenance, but if it's taking them more than a few hours a month, that's just bad management on their part. The best Canadian hosting companies will be up front about this. If you have to go asking customers about scheduled maintenance to get an honest answer, then this is probably not the best web hosting and domain registration provider in the country. Also be sure to seek out and bookmark the page on the web hosting providers main website that could used to identify server, network, or maintenance status. Not all web hosts provide that information up front, but for those that do it can save you a lot of time trying to troubleshoot an issue that may be the hosting provider fixing a network problem or reported downtime for maintenance. Many Canadian hosting companies will offer add-on products for site monitoring. This is generally a ping or http monitor which sends a test request to the site on a regular interval and then notifies either the client or the hosting company’s support team that the site is not responding. We recommend configuring a site monitoring method for your site even a third party one. They are generally inexpensive and can help you identify potential issues before they become bigger. "Unlimited service" is one of those phrases that's often used in a "technically true" manner in marketing. If the site doesn't make it clear what they're actually offering, send them a message or email. If they start dodging the question, cross them off your shortlist. The very best web hosting plans for you might not necessarily be the most extravagant in terms of bandwidth and storage, depending on your needs, but honesty and transparency are vital no matter your goals. What you will often experience with shared hosting plans that offer “unlimited” storage space, is that they are referring to unlimited active data content. This would be images, videos, website files, etc. that are routinely requested by the site to perform its functions. What will often be recommended at that point is to have the customer upgrade to a VPS instance. While probably a good move if you shared site is taking up 50GB of shared server drive space. This does shared customers in a tight spot where they are now in a position of being forced to upgrade or forced to leave the hosting company. Unlimited Bandwidth, on the hand, is generally more doable for a web hosting provider as this resource correlates to the amount of data entering and exiting the system as visitors access the websites. While also not technically “unlimited,” the amount of data between a single website visitor and the website generally isn’t that much. Restricting bandwidth is about limiting traffic (volume of requests) to a site. Bandwidth is often a cheaper expense for a hosting provider compare to straight storage. Especially when most hosting providers are needing to offer large amounts of SSD space in order to stay competitive in the market. This is one of those "fine print" things. All hosting sites will tell you that you can have multiple domains, but once you check the fine print or email them about it, it might be a different story. Multiple domains might not be a dealbreaker for you, but if it is, make sure that it's what you're actually getting. Another “fine print” thing to look out for is if the provider offers a reseller hosting plan, they will likely not want you to reselling with a multiple domain shared hosting plan. What this would mean is that if your multi-domain shared plan is being used to host site for different clients, you may breach their terms of service. While multi-domain hosting can be very beneficial, it can come with some red tape for needs that a reseller plan would better at accommodating. Multi-domain hosting can also a little bit risky if the web hosting provider restricts bandwidth. Unless stated specifically otherwise, the host generally strict the bandwidth at the account level. This would mean that your total bandwidth usage per month is subject to the traffic of all of the domain under that account not an allowance for each individual domain. As an example, Let’s say your account is allowed up to 10GB of bandwidth per month. If you have provisioned ten domains in that account, all ten of the domains are being restricted by the 10GB total. You are effectively getting about 1GB of bandwidth per site. That’s not an exact measurement but, evenly distributed, you are slicing up your pie into ten slice instead of one whole pie. If you want a website that features forums, eCommerce features, if you want people to be able to book reservations at your restaurant through the site or upload their own photos and videos, then you're going to need to look and see what additional applications are offered or allowed. Some hosts may consider it a terms of service violation just because you put an "upload" button on the site to let users upload photos themselves. Many Canadian hosting companies offer access to one-click installers like Softaculous. These features allow customers to quickly deploy common and popular web apps in their accounts. The web applications can range from blogs, eCommerce, local retention and backups, website monitoring and much more. Features like Softaculous pair very well with multiple domain shared hosting plans and shared hosting plans that allow for subdomain deployments. As a brief example this can enable you to host your main site but then also host a wordpress blog subdomain to generate routine traffic through posting your blog articles in on your social media account and then funnel that into your main site to generate potential conversions. You're going to get the most upgradeability out of cloud hosting, but any worthwhile host should have some options open to you if you ever want to upscale your website. You may know exactly what you need from your site right now, but in a year, two years, there's no telling, and the site may need to grow with the business. It's better if you have that option now so that you don't need to switch hosts when the time comes. Scalability is an incredibly important factor if your web presence revolves around a service or subscription based offering. As your brand grows you will need to have access to options for infrastructure growth. Especially as your traffic volume goes. Being able to upgrade your processing and memory resources is vital. Most hosting plan will include some method of upgrade path, like a tiered progression path for standardized packages. Tiered plans are typically optimized to give you the most bang for the buck. Let’s say you are only needing more memory for your VPS hosting plan and the cost for the memory, alone, is half of the cost of upgrading to the next tier. It’s important to identify what else comes with that next tiered plan. You may be able to acquire the memory, a cpu increase and storage increase for far cheaper than purchasing them individually. While you can still customize resource needs for VPSs and Dedicated server, it’s generally a good idea to save deep customization for when you are out growing highest tiers in the hosting provider’s upgrade path. For some, getting an email account with your web hosting service is a necessity, for others it's maybe just a nice bonus. If email hosting is a must, then there are some things you'll want to double check in fine print, reviews, and asking the host directly. If you have employees using the site will they each get an email account, or do they need to keep using their own personal emails for work? Are the website's spam filters any good or are you going to be waking up to seven hundred new emails from addresses with way too many numbers in their names every morning? Many larger Canadian web hosts will also provide dedicated email hosting plans. These plans are designed similarly to a shared web hosting server but instead of website content, they are used for email hosting. This can be great alternative to more potentially more expensive options like Microsoft’s Exchange or Office 365 environments. Though these plans are generally not that useful for the average website owner, they do have unique value for established businesses looking to move their email to a remote infrastructure. We've already mentioned this one but it bears repeating: When you compare web hosting companies, they're all going to be promising outstanding 24/7 customer support. They're not all going to deliver. The only way to get an idea of the quality of a host's customer support is by, again, checking the reviews. And yes, we're going to reiterate that one more time below. Something worth mentioning for people who may be in need of more dedicated levels of support for their deployments, lots of hosting companies are now offering “Managed Support” add-on products for their services. What this means is that you are paying for additional levels of support and entering into a lower level version of a SLA or Service Level Agreement. You host your website, web app, etc on their servers and they assist you with maintaining that environment and supporting the website, web app, etc’s needs. We see this as a method for traditional web hosting companies to complete with the rising “Managed Services” industry that is the taking the Cloud computing by storm. 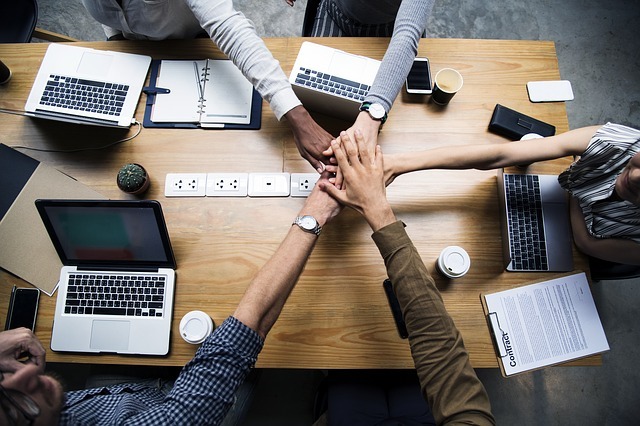 For clients that can afford the premium of the managed support services, you are essentially able to divert the cost of a traditional IT department to the much more cost effective managed support plan cost. For customers with a strict budget this will likely have to wait until later for consideration, but these plans do offer a unique value and can be very beneficial. To find the best website hosting Canada reviews will be absolutely pivotal. Finding the best hosting service for your company will require you to check some customer feedback and see what people are saying. Look up a top 10 reseller web hosting list or hit up a forum and ask for people's opinion on what they consider to be the best web hosting server in Canada. Getting cheap and good web hosting is absolutely going to require a bit of legwork, so once you have your shortlist, do the research and see what people are saying. They all claim to offer good website hosting services, but can they back it up? You won't know until you read the reviews. The most popular web hosting sites won't always be the most cheap and best web hosting services available, but it's hard to make a lot of top ten lists by lying to your customers, so this is usually a pretty good gauge for finding the best hosting sites once you cross reference that with some independent research. 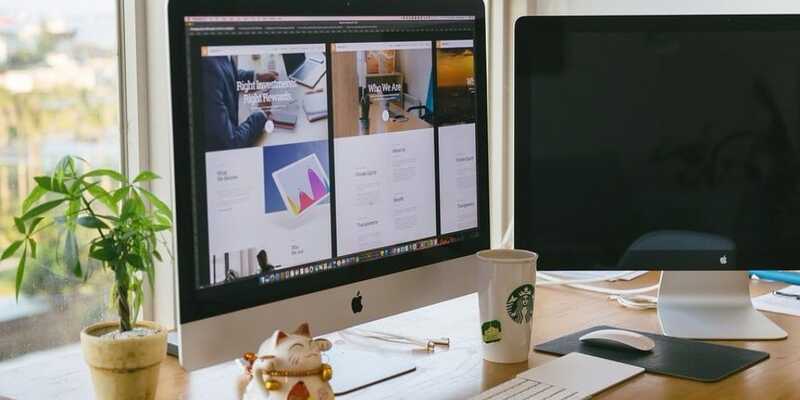 With the information listed above, you should be able to determine the best website host for your business, whether you're a web designer seeking the best reseller hosting Canada has to offer or you just need to set up a simple WordPress blog. It's all about what's going to work for you. 1. Is there free web hosting in Canada? Not really but most of the best Canadian companies that provide hosting with free domain registration and full money back guarantees. 2. Who is the best Canadian domain registrar? HostPapa is headquartered in in Ontario Canada not from from Montreal. They have servers located in Toronto Canada and they are an ICANN certified Canadian domain registrar. HostPapa offers the best domain hosting in Canada. HostPapa like many other Canada hosting companies offers a free domain registration with the purchase of web hosting. 3. Who are the best Canada hosting providers? It's really difficult to choose the best amongst the top 5 . All top five companies are outstanding when compared to their competitors. We only accept user-reviews that give value to our visitors. Not all reviews will be published. If you wish your review to be approved, we recommend you to write valid, unique and helpful reviews – Thanks for your support! *30 Day Money Back Guaranteed.